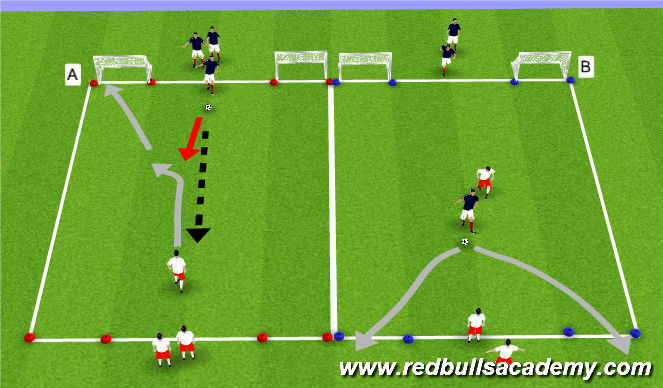 - One player from each group runs out to perform a move (Feint & Scissors), accelerate & cut into space behind cone once beaten. - Repeat for a set period, then switch side of the movement. -Cut into space behind cone once passed. 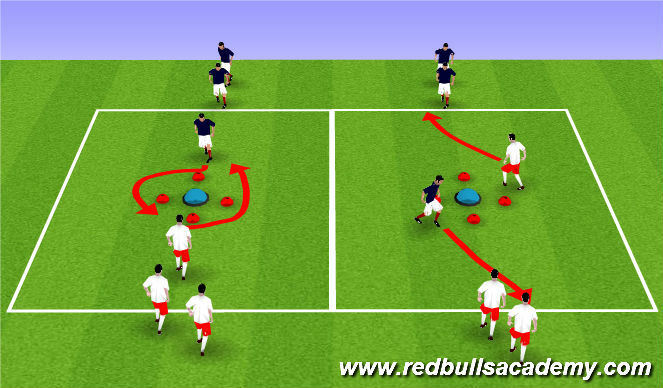 - One player from each group dribbles out to perform a move ( Feint & Scissors ) accelerate & cut into space behing defender once beaten. - Next to players are good to go once the two first players performing the movement have joined the group on the opposite side. - Repeat for a set period then switch side of the movement. 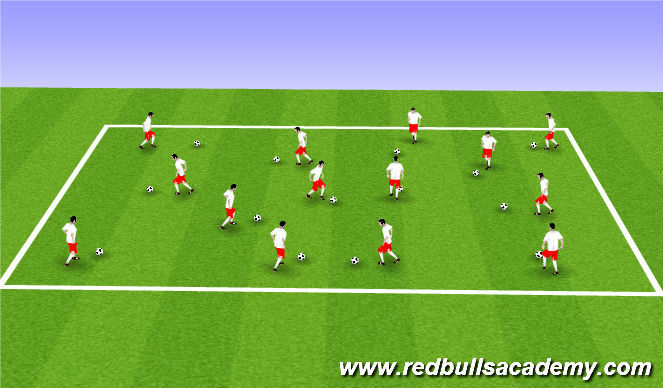 - If defender steals, they can score by dribbling through the gates. - Accelerating after getting past defender.